Perhaps searching for meaning, purpose, love. This is a highly curved panorama wall piece. 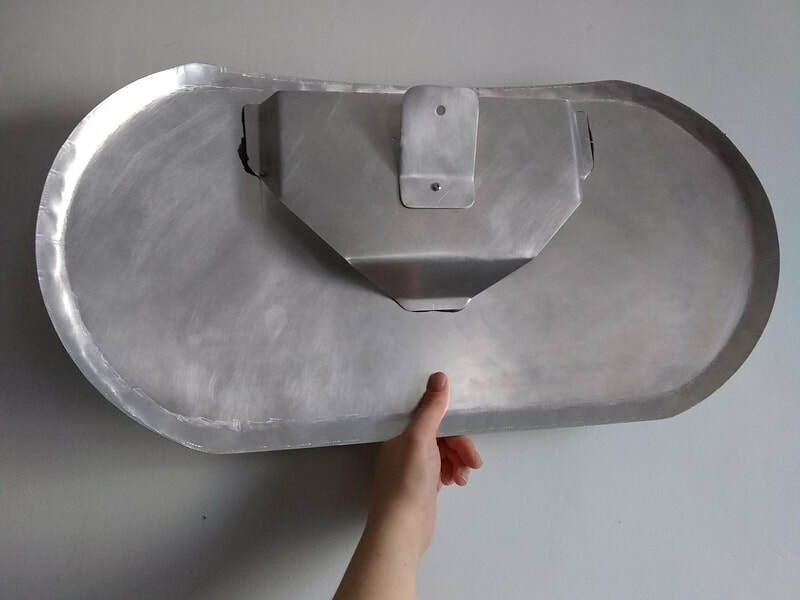 The base for the painting is hand formed, hand hammered aluminum and it comes ready to hang from a unique hanging bracket attached to the back. Fluorescent acrylics were used on the yellow water lilies and their red stems. The entire piece has an inherent glowing quality that is both electric and soothing, bold and hypnotic.